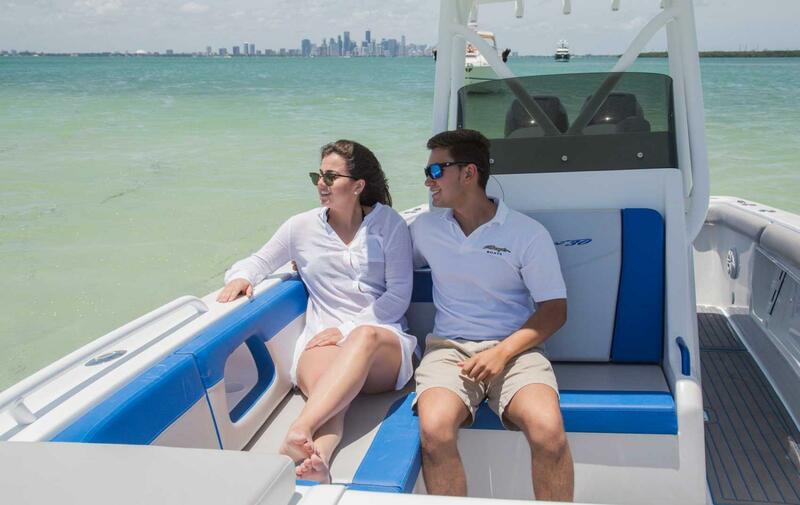 In the bay or on the open ocean, when shelter is a must, everyone can appreciate the convenience of a cuddy cabin. 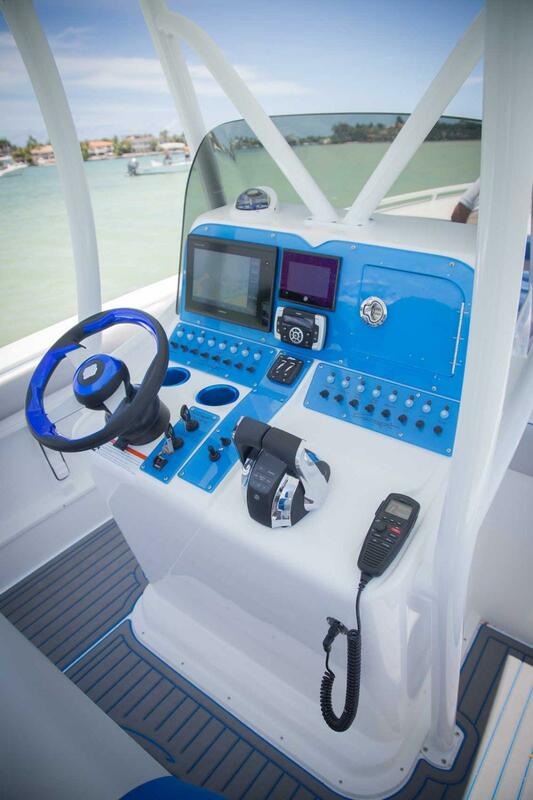 The Concept 30′ combines an angler-friendly center-console design with all the amenities of a high-performance powerboat. 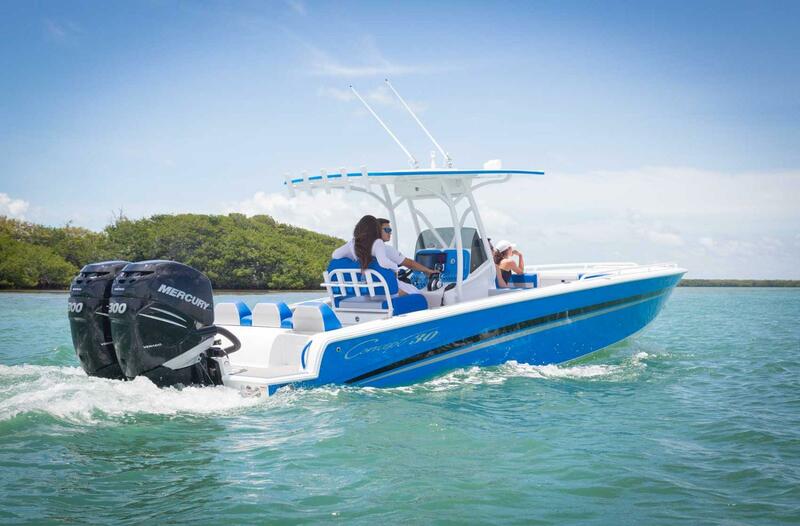 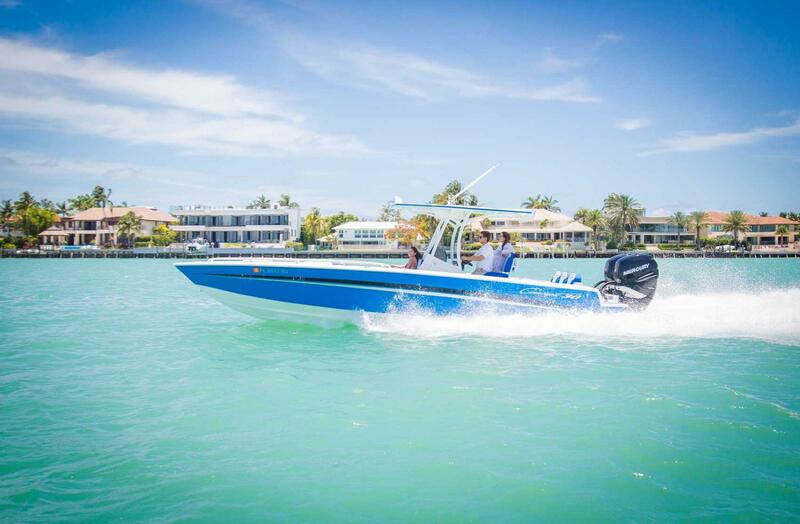 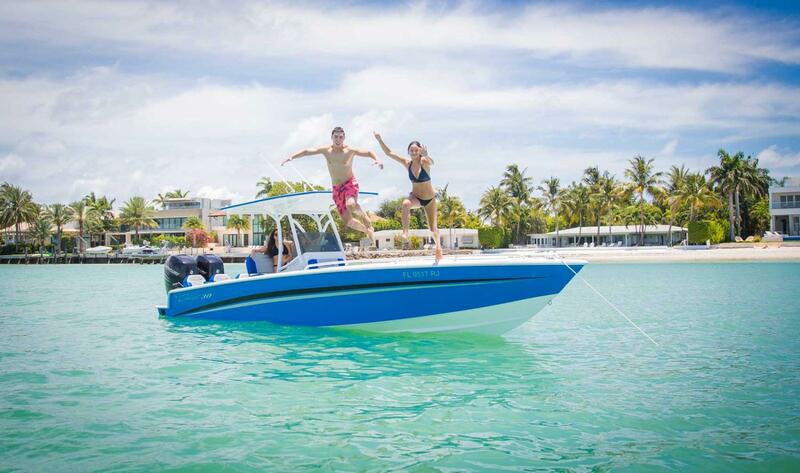 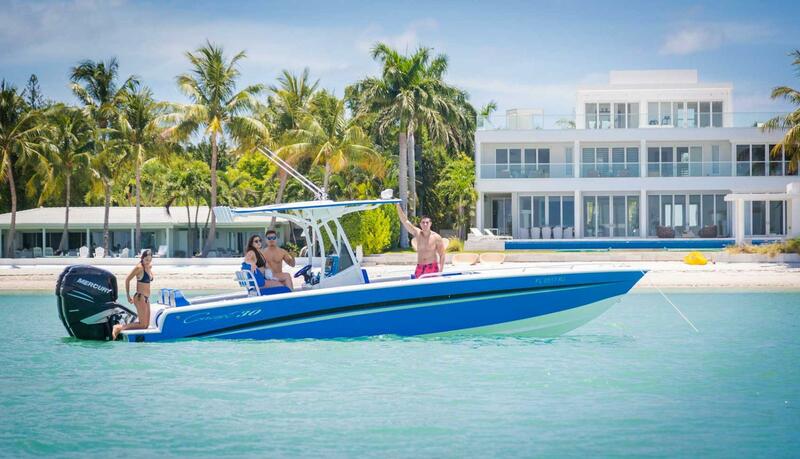 The twin engine design with an integrated engine bracket and a 24-degree deadrise hull translate into unparalleled performance to help you get where you’re going in a hurry without burning a ton of fuel. 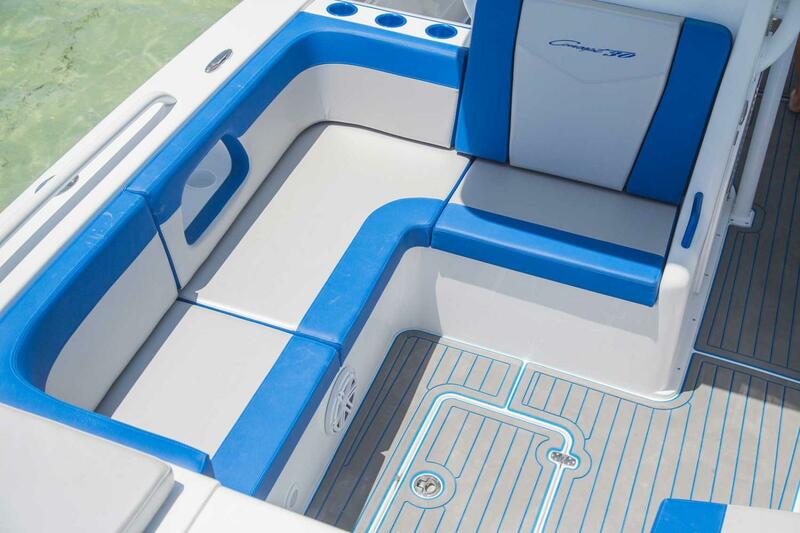 The Concept 30′ combines an angler-friendly center-console design with all the amenities of a high-performance powerboat. 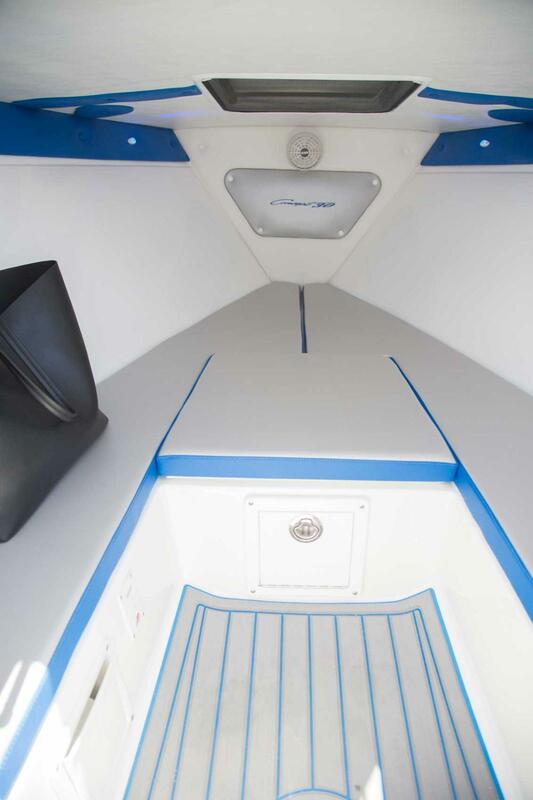 A spacious cuddy cabin means shelter from the hot Florida sun and additional storage space. 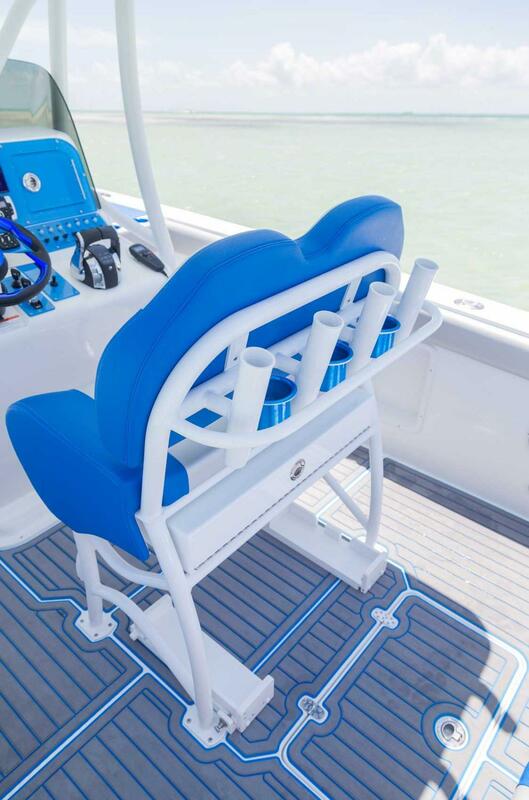 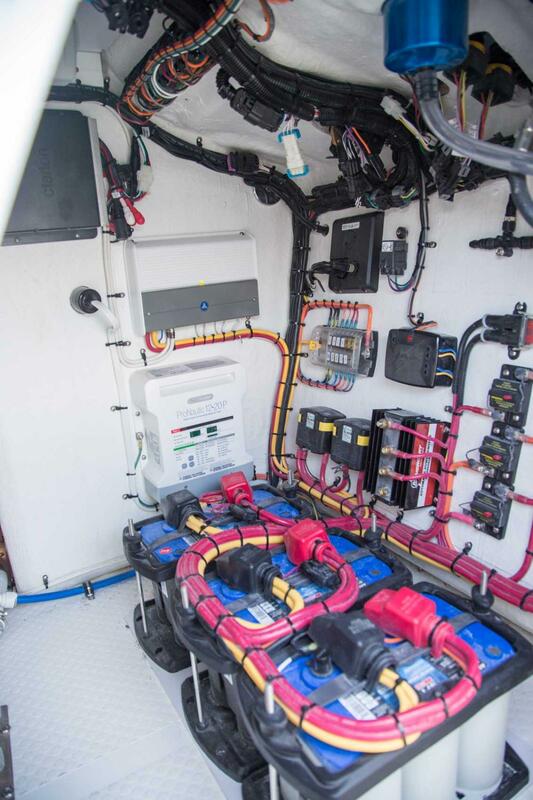 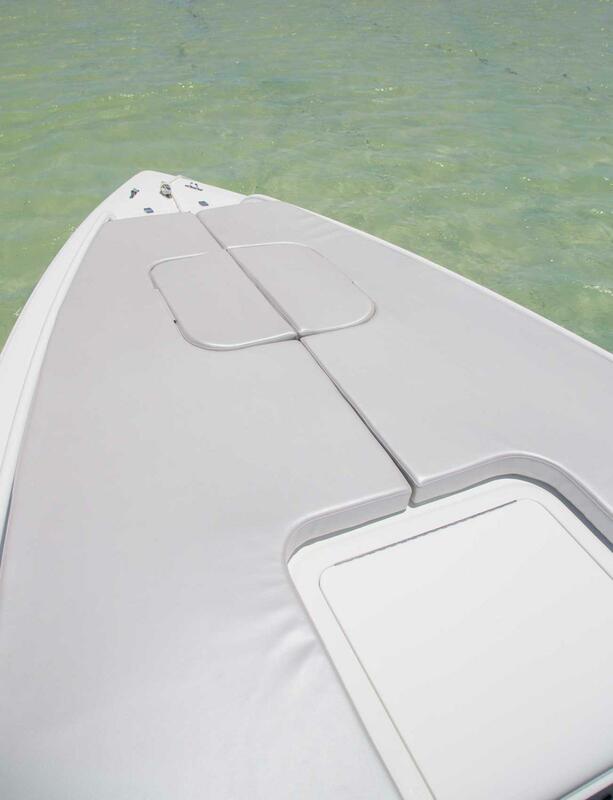 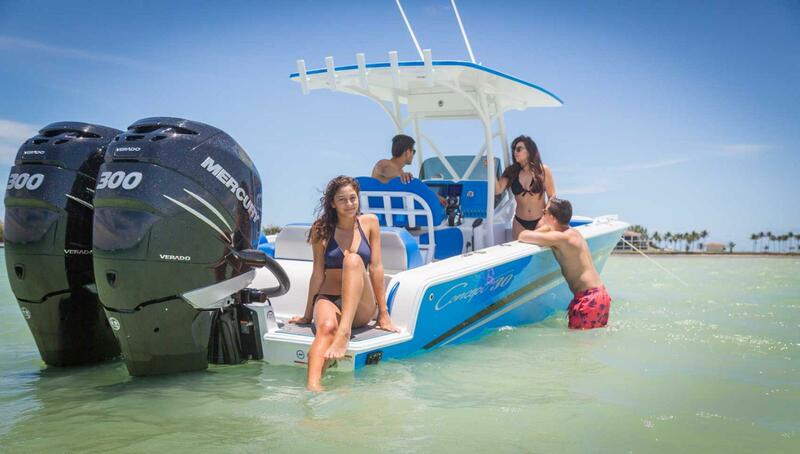 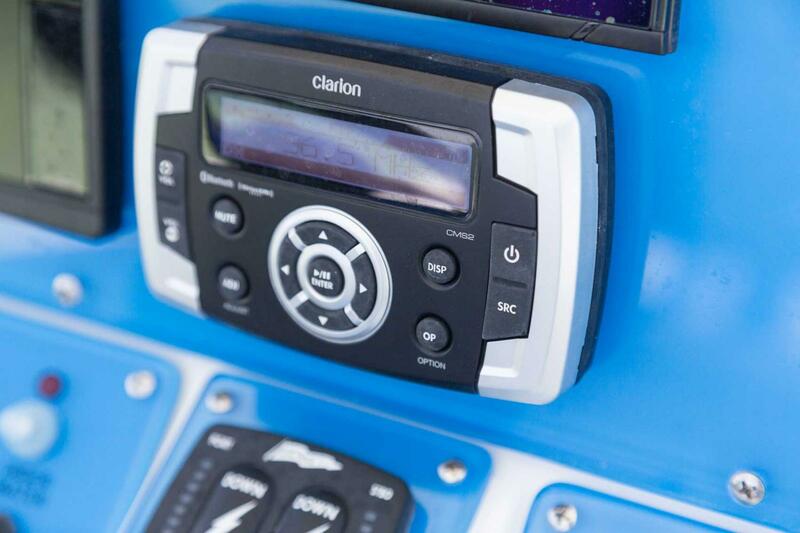 Its unique center-console design is compact enough to allow free movement around the deck, while providing easy access to fish boxes and rod holders. 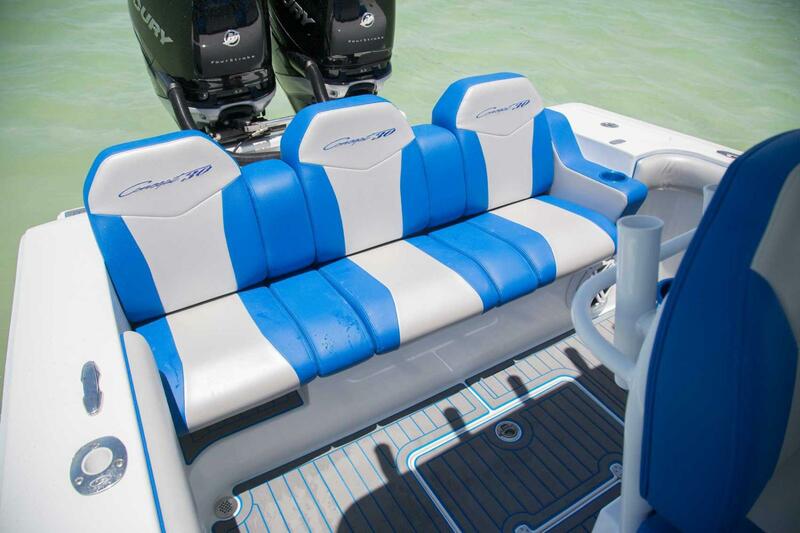 Make it your own by choosing from a wide array of custom graphics, t-tops, lighting and sound system options. 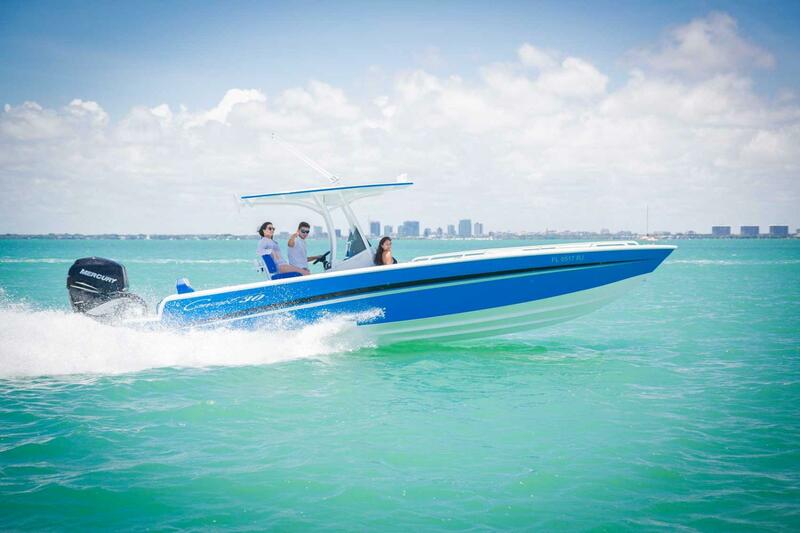 Maximum Outboard Rating 700 H.P.